At the moment, ATLANTIS FALLEN is an e-release only. Like everything I’m doing right now, it’s self-published. That means in order to have print copies I have to pay a book designer and cover artist for the interior layout and the cover. Right now I don’t have the money to do that, but believe you me, I want a copy of this book on my shelf as much as you do. People have already suggested Kickstarter for a print edition, and that’s a brilliant idea that I will almost certainly be pursuing. The thing is, I’ve got the unfulfilled REDEEMER Kickstarter to finish, and I’m not comfortable running a second Kickstarter until I’ve got that done. 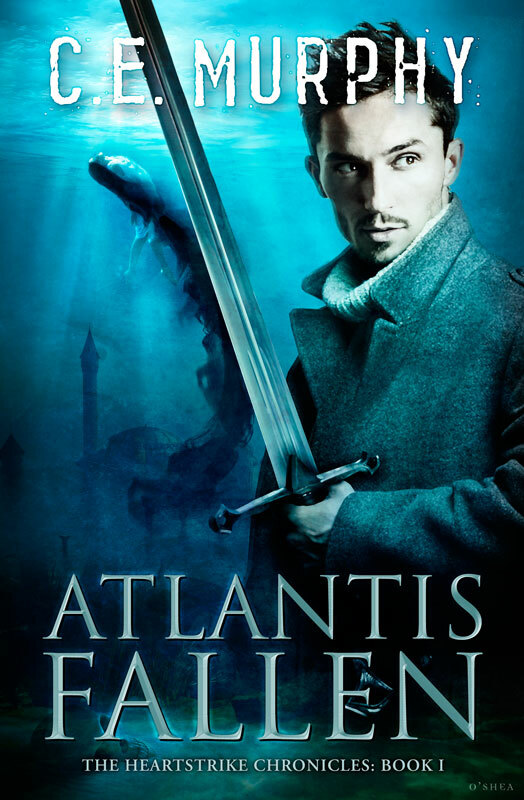 So for now, ATLANTIS FALLEN is e-only, and I apologize to those of you I’m taunting with a new book that won’t be available in print for a while. Oh, and for the audiophiles among us, I’m pursuing an audio book! I don’t know how it’ll pan out, but I’m workin’ on it! Then an archaeologist’s claims of finding Atlantis brings back millennia-old memories, and Lorhen is drawn unwillingly into intrigues aeons in the making—and deadly enough that he may yet face the heartstrike blow that will unleash his power on the world….